You're going to fall in love with this place! And these books will help you get the most out of your time here. Four of the books are walking tour guide books. 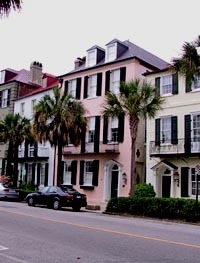 After all, Charleston is a walking city – meaning the best way to see it is on foot! Another book is a crash course in all things Charleston and will enable you to learn all you need to know in a quick and easy way. (And now, in the audio version of this last book, you can even get the scoop from native Charlestonians who have their own delightful dialect!) Go a step farther and read what many folks have to say about growing up here in the book, To Hear Them Tell It: Memories of Growing Up in Charleston. Best wishes for enjoying yourself in our lovely city by the sea!